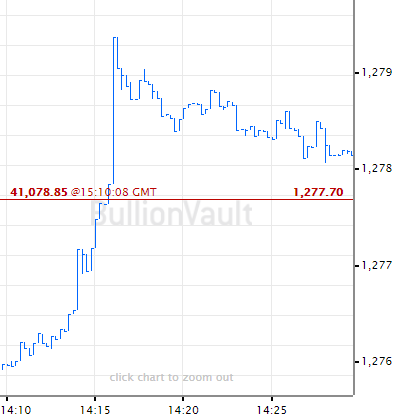 GOLD PRICES slipped Monday morning from the previous weeks three-month high as the dollar firmed and European Stocks gained amid mixed Asian markets after the setbacks of last week, writes Atsuko Whitehouse at BullionVault. Spot gold prices were edging lower at $1,230.53 per ounce Monday lunch time. On Friday, they touched their highest level since 17 July at $1,243.29. Gold prices have gained more than 6% after hitting $1,160.73 per ounce mid-August, the lowest since January 2017. 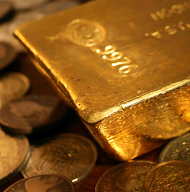 "With the extreme slide in stocks, gold became a temporary safe haven but event driven rallies don't last long and the metal pared gains as stocks gave up some losses," said George Gero, managing director at RBC Wealth Management. "Bonds have also become a safe haven with stocks getting sold-off. The dollar is still pretty high, which is a headwind for gold as it makes the metal expensive in major consumers like India," Gero said. Dollar index, against a basket of foreign currencies, gained 0.2% to 96.56. The index has advanced to 1.4% this month. 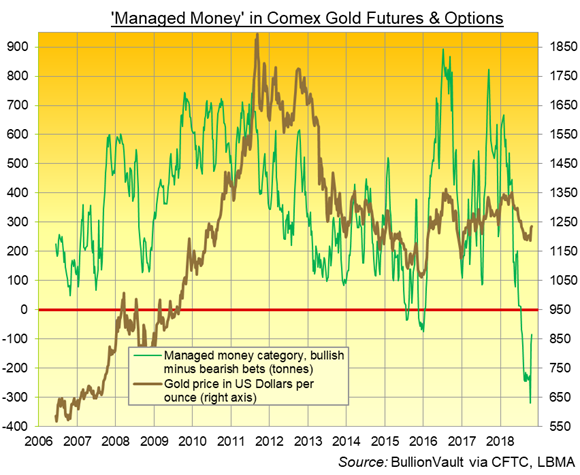 Hedge funds and money managers cut their net short position in Comex gold futures and options by 28% to the notional equivalent of 83 tonnes, the smallest net short position since mid-July, in the week to 23 October, according to US regulator the CFTC. Stocks in Europe were higher on Monday morning. 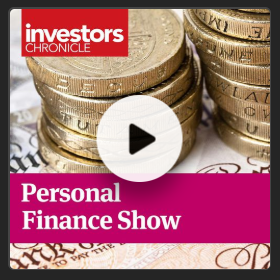 FTSE 100 was up 1.50%, DAX gained 1.90% and CAC edged higher by 0.26%. In Asia, Japan’s Nikkei slipped 0.16%, having climbed 1 percent earlier while South Korea’s KOSPI stumbled 1.53%. Shanghai composite slipped 2.18%. Italian bond yields fell sharply on Monday, with 10-year borrowing costs hitting a one-week low following the decision by ratings agency Standard & Poor’s to leave Italy’s sovereign rating unchanged, but lowered the ratings outlook to negative from stable. That fall narrowed the gap over German bond yields to 296 basis points from 306 basis points late Friday. German Chancellor Angela Merkel will not seek re-election as the leader of the Christian Democratic Party (CDU). Merkel also stated that she will be stepping down as Chancellor in 2021. “I will not be seeking any political posts after my term ends,” Chancellor Merkel told a news conference in Berlin Her decision comes after the CDU suffered heavy losses in the regional election in the state of Hesse that has threatened the stability of the governing coalition. Market reaction was muted so far with the Euro remaining above last week’s low against the dollar on the news. 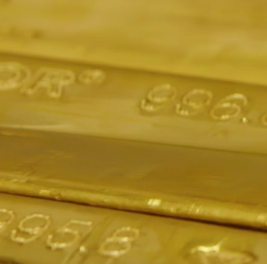 Gold prices for European investors are flat at €1,082.16 per ounce. Far-right politician Jair Bolsonaro has won a sweeping victory in Brazil’s presidential election on Sunday. Brazil, the biggest economy in South America and the world's eighth largest economy by nominal GDP, has been struggling to emerge from its worst recession in history. This week markets will focus on US jobs data and earnings which include big tech names such as Apple and Facebook. Monetary policy decisions are due in Japan and the UK this Thursday. Britain's budget announcement is scheduled this Monday afternoon. Prime Minister Theresa May’s spokesman stated this Monday morning that all spending commitments Chancellor Philip Hammond will set out in the budget are funded irrespective of a Brexit deal and if the economic circumstances change then economic interventions will be considered. The gold prices for UK investors slipped down to £959.88 per ounce after reaching £969.94, the highest for more than 4 month last Friday.